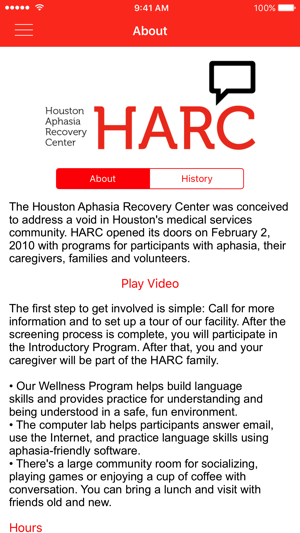 The HARC App allows members and volunteers at the Houston Aphasia Recovery Center to be informed and updated on upcoming events. 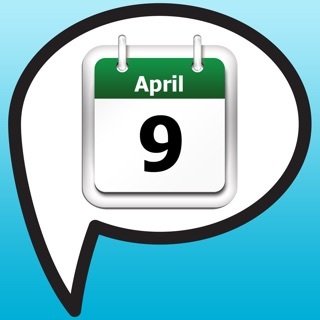 - View upcoming events as well as when the next program is on the Home tab. 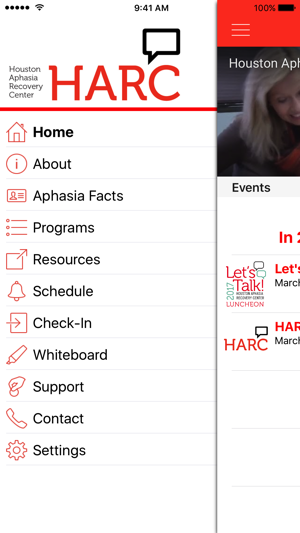 - Learn about HARC and their history and goals in the About and Aphasia Facts tab. 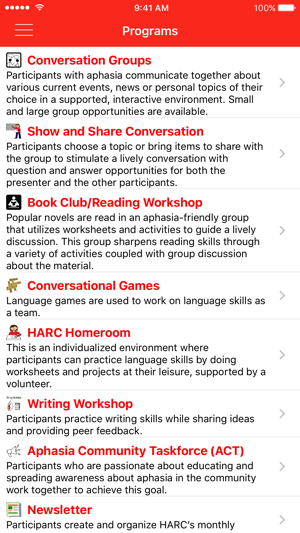 - Learn about the programs in HARC and how each is designed to help patients with aphasia. 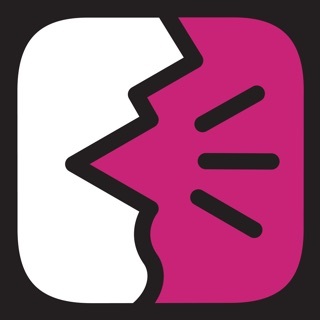 - Explore Aphasia-Friendly resources that are available in the Resources tab. 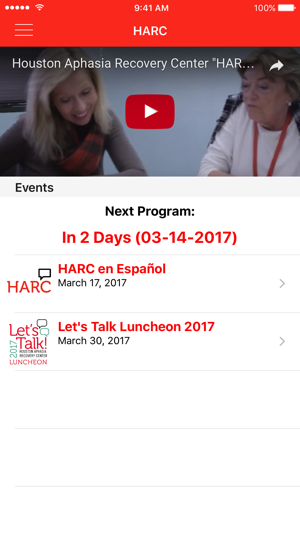 - View the weekly schedule to see what programs are going on at HARC in the Schedule tab. 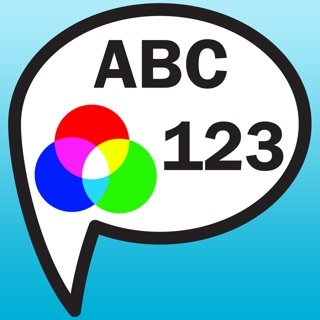 - Use the whiteboard tab to allow those with aphasia communicate to you when they are experiencing a difficulty. 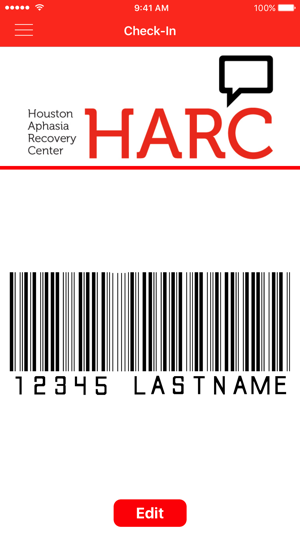 - Contact HARC by email, phone, Twitter, or Facebook in the Contact tab. You can also get directions to the HARC offices.